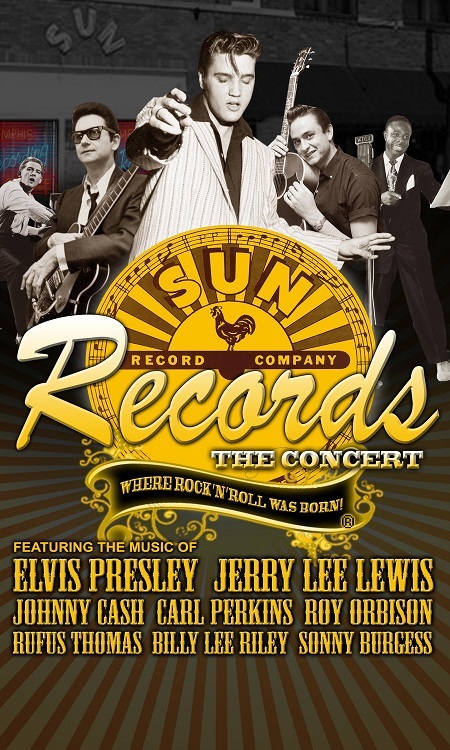 Where rock 'n' roll was born - the Official Sun Records Concert Show! Revisit the blessed recording studio where the distinctive sound we know and love today was crafted from gospel, blues, hillbilly, country, boogie and western swing by musical visionary Sam Phillips. His trailblazing Memphis studio brought us That's Alright Mama, Great Balls of Fire, I Walk the Line, Whole Lotta Shakin', Bear Cat, Blue Suede Shoes, Good Rocking Tonight. . . hundreds of hits that would influence the world of music for generations to come.